Product prices and availability are accurate as of 2019-04-08 14:05:46 EDT and are subject to change. Any price and availability information displayed on http://www.amazon.com/ at the time of purchase will apply to the purchase of this product. -This is the Original LED Crystal Stage Light from Lightahead®, sold across the globe for many years. 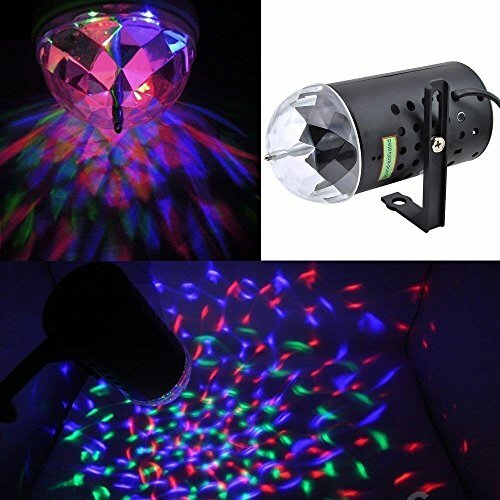 -Yes, for less than the price of a movie ticket, you get this incredible LED Crystal Stage Light with beautiful, intricate, kaleidoscopic patterns in running motion. 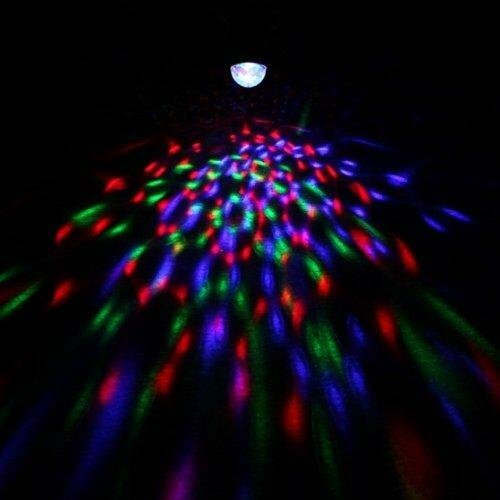 -Great for house parties, concert venues, karaoke, dance halls, nightclubs, discos , bars, family gatherings and even children's rooms. -Get rotating, colorful lights in your room right now with this awesome gadget with a long working lifespan. -Auto spinning 3D bulb emits large area of rainbow effect. -Three colors of strobe effects: Red, Green and Blue. -Comes with a bracket should you want to hang it on the wall. -Lightahead® is the Registered Trademark of LIGHT AHEAD INC Registered vide USPTO Trademark Number 4440112. -Lightahead® has not appointed or authorized any reseller for this product in USA or any country across the globe. -Any listing on this product page by a seller other than Lightahead® is bound to be a counterfeit imitation and buyers are requested to stay away from them. -If for any reason you are not happy with this product, feel free to return within 30 days and get a full refund. No questions asked. Beautiful & colorful patterns in running motion Ideal for family gatherings Party, karaoke, dance halls , nightclubs , discos , bars, KTV bars , shopping malls, etc. 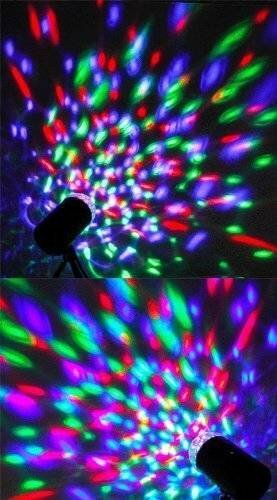 Three color of strobe effects: red, green and blue Auto spinning 3D bulb emits large area of rainbow effect.